Women normally search for something smart and beautiful. 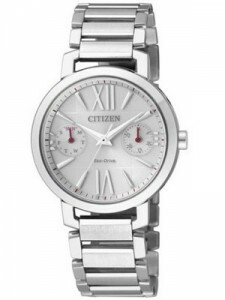 This Citizen Ladies Eco-Drive fulfills both the qualities. This watch is cool and elegantly designed. It is an excellent watch for ladies. The body of this watch is made using Stainless Steel. One of the special things in this watch is its bracelet. The bracelet seems to be as a wonderful link. The Push Button Deployment Buckle is available for tightening the watch on the wrist comfortably. The white case has Sapphire glass over it. This Sapphire glass is scratch resistant. This watch is eco friendly and works on EcoDrive means it gets its power from the light energy. This Citizen Eco Ladies reserves the power and gives good power backup. The Eco-Drive never needs a battery and can operate for a long time in the dark. 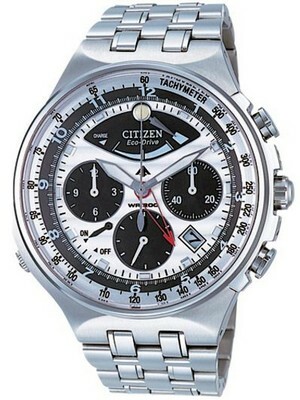 Citizenwatch guarantees that their Eco-Drive watches will last a lifetime. It gives an accurate time with the Caliber of 8635. You don’t need to search the calendar to know the current date since this watch show the current date and day. The way of showing date and day is quite different here since there are two small sub dials for this purpose. You may feel like you are using a chronograph watch with such small dials. Women work with water several times a day and there watch should be water resistant. 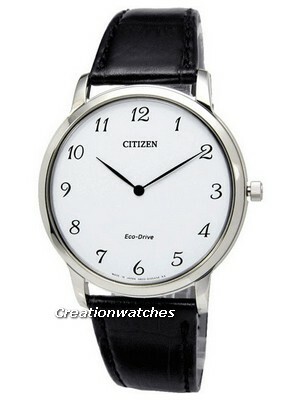 Citizen Women’s Watch has the resistance to water up to 50 meters depth. Therefore no need to remove or take care of this watch even when you are at swimming pool or beaches. This watch is really perfect addition to your fashionable women’s dress watch collection. 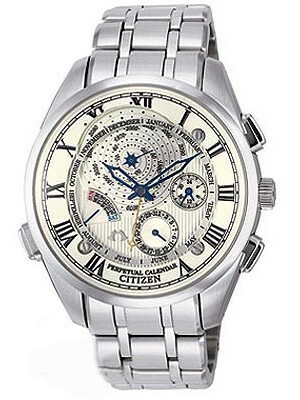 This watch is available for US $160.00 with us.